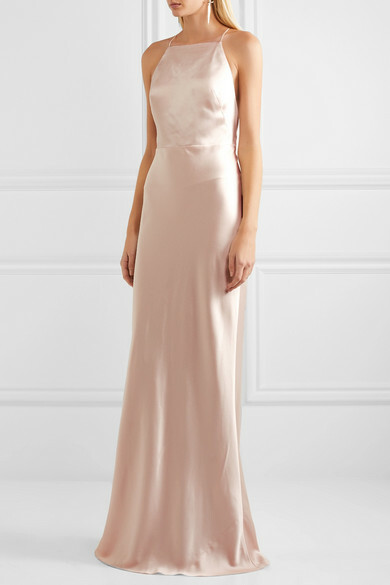 Elegant in its simplicity, Jason Wu's gown is cut from lustrous, mid-weight blush satin that has a beautiful drape. 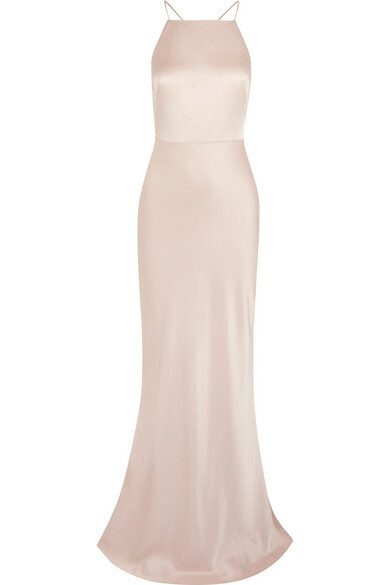 It's flatteringly seamed at the waist and bust, and turns to showcase delicate crossover straps. 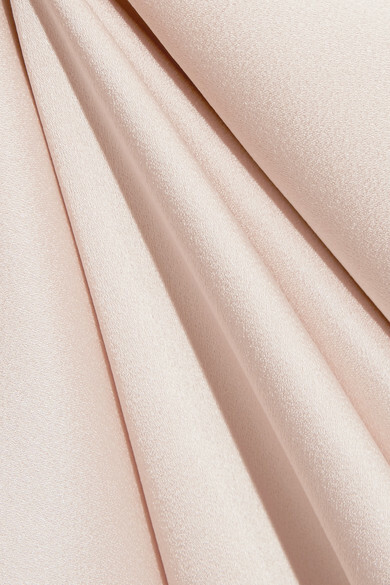 The built-in bustier offers light support. Shown here with: Aquazzura Sandals, Valentino Earrings, Gucci Ring.